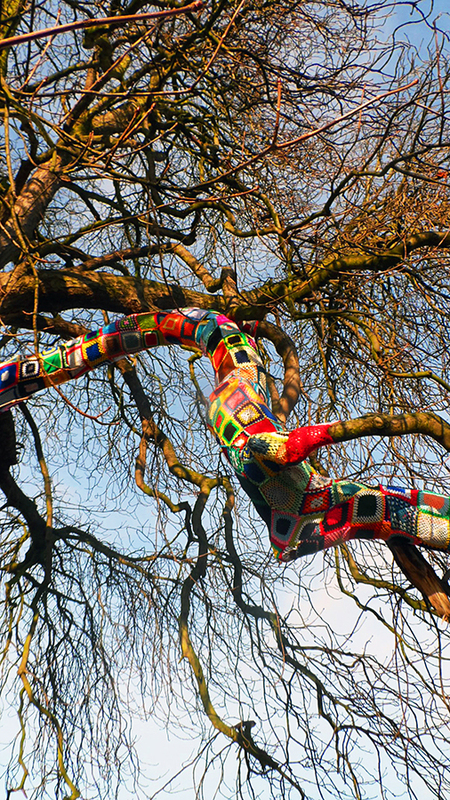 There have been many yarn bombing incidents around the world, but none have touched me as much as the one in my home town. 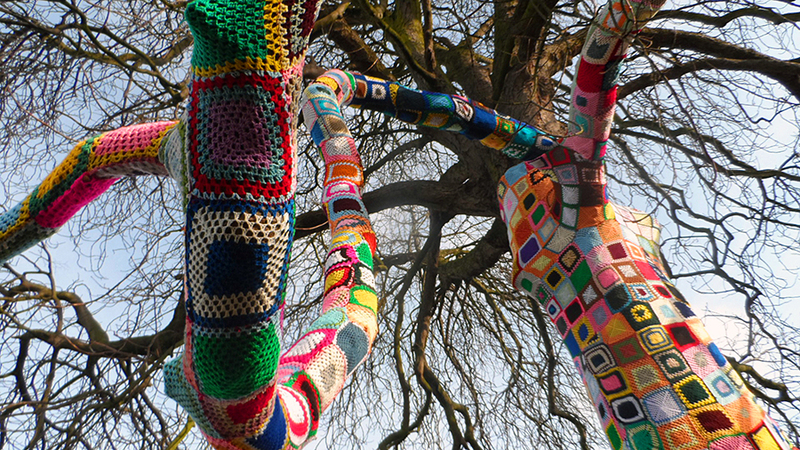 In pitch darkness on the 1st December 2013, 10 volunteers constructed this crocheted tree snood around a big old chestnut in the Bankcroft Gardens, Stratford upon Avon. 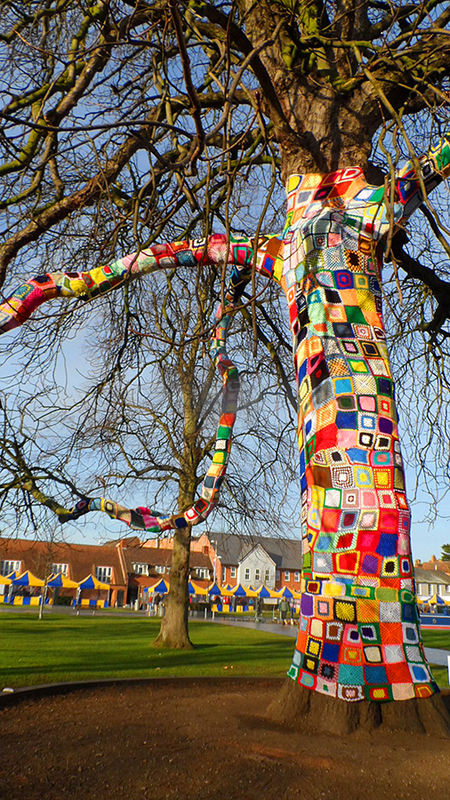 Made from 1500 crocheted squares, it is called The Remembering Tree and each square can be ‘bought’ and dedicated to a loved one who has passed away. I bought one in memory of my Grandad with the Pipe. It helps us celebrate life and loved ones in all its wonderful colours and was made by women in South Africa from poor communities. This project has helped them earn an income and has taught them new skills. 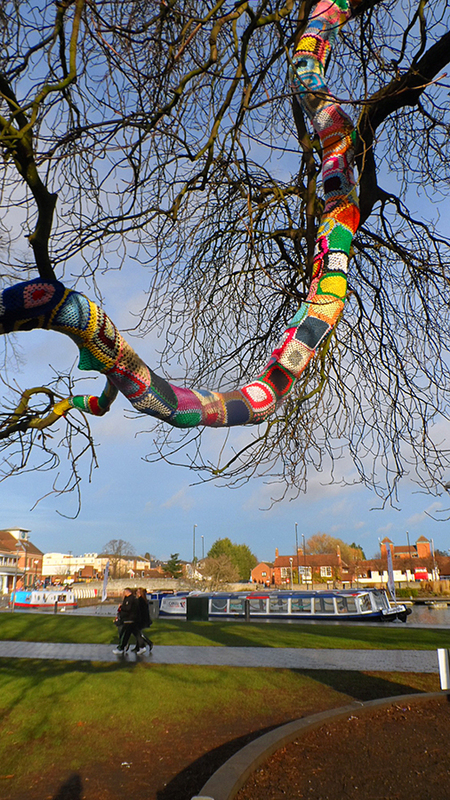 It looks like this tree will be the biggest one yarn bombed in Europe! After the New Year, the team will take the yarn squares down. The synthetic wool will be washed and recycled into blankets, which will be sent to Sierra Leone or a local homeless charity. For more information visit GAGA UK. Stumbling upon such a wonderful and poignant statement will certainly be something I will remember for the rest of my life. Who can say that about a crocheted square? 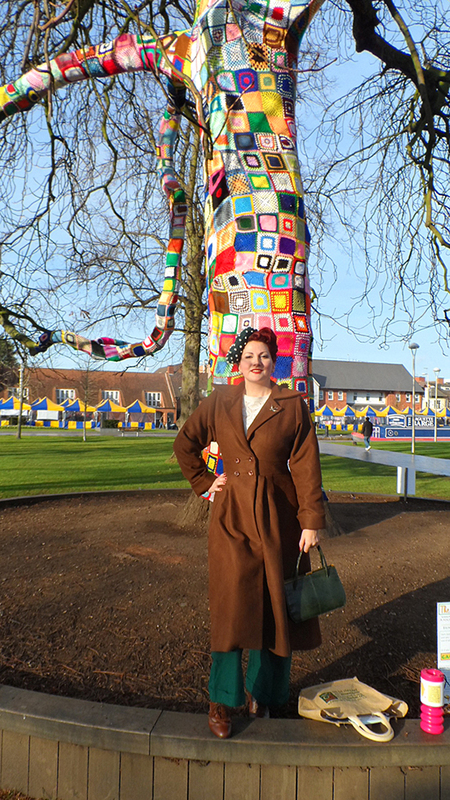 Posted in Arts and Crafts, Day to Day and tagged crochet, crochet bombing, crochet tree, gaga, kitten von mew, knitting, memory tree, remembering tree, stratford upon avon, yarn bombing. Bookmark the permalink.